Subprime Loans and Fake News | The Forum Network, hosted by the OECD: Shape ideas. Shape policy. Shape the Future. Could the market fundamentalism that ruled the pre-crisis financial markets of the 2000s hold lessons for how we should approach the unregulated information and news market in the digital age? Former Chairman of the Federal Reserve of the United States, Alan Greenspan, was for a while during the 2000s a strong supporter for what George Soros later labelled market fundamentalism: free and unregulated financial markets provide the best conditions for growth, wealth and will thus play vital roles in solving grand societal and economic challenges. Along with the idea came the suggestion that every laissez faire market with self-interested and utility-maximizing institutions and actors was efficient in the sense that incorrect pricing of products or services would self-correct given the liquidity of the market. The self-regulating effect would eventually put the market in an equilibrium state in which only the financially sound and healthy products, companies and services would survive. Hence, the free markets would in and by themselves provide the close to ideal conditions for growth and wealth without bubble formation and other financial imbalances. In the wake of the financial crisis Alan Greenspan rather shockingly had to admit that deregulation and market fundamentalism could not quite cash in as hoped: "I made a mistake in presuming that the self-interests of organisations, specifically banks and others, were such that they were best capable of protecting their own shareholders and their equity in the firms" [Clarke, A. and Treanor, J. (2008). "Greenspan - I was wrong about the economy. Sort of", The Guardian, 24.10.2008, verified 22.09.2017)]. Some of the "equity" around at that time, which in the end did not protect the financial sector, shareholders and banks but rather turned out to be a key factor in the financial meltdown, was the subprime business. The unregulated information and news market in the digital age is similar to the market fundamentalism ruling the financial markets of the 2000s. Assets are not immediately monetary assets or products. The prime asset relentlessly pursued in the age of information is attention as Nobel Laureate Herbert Simon prophetically announced back in 1971: "...in an information-rich world, the wealth of information means a dearth of something else: a scarcity of whatever it is that information consumes. What information consumes is rather obvious: it consumes the attention of its recipients." Think of the business model of social media: (1) allocate people's attention using information; (2) the consumption of information generates traffic; (3) traffic may be converted to money, power, influence, status or advertising possibilities. As a user you do not pay for your social media profile. But if you do not pay, you are the product, while advertisers are the true customers. Social media sells users’ attention to advertisers that are the ones paying. Hence you may speculate on what sort of information people are willing to consume. There is a market for information which, while not being necessarily true information, captures a significant level of attention. However, what is viral is not necessarily true and what is true is not necessarily viral. There is a market for fake news indeed. At least three reasons may be given for entering this market: first, for the fun of it/trolling; second, propaganda/power struggles; third, web traffic/money. The issuing parties of fake news want to capture people's attention and draw on the advertisers’ commission. The wider your group of information preys is, by a noisy and spectacular but not necessarily true news story, the more you may jack up the prices for advertising online for whatever the reason: for fun, political influence or cash money. Should the market for information and news be regulated, say by imposing principles of excellence in journalism, TV and communication laws and best practice demands on social media outlets to protect users and community – in part recently suggested by the EU? Social media platforms often have community standards (for example Facebook) which dictate to users how to behave and what is permissible to write and do. How may such standards be systematically enforced to counter, say, fake news, trolling and who is responsible? The outlets, the individual user, or the communities? This contribution is based on the forthcoming book FAKE NEWS: When Reality Loses Out, by Vincent F. Hendricks and Mads Vestergaard (2018). 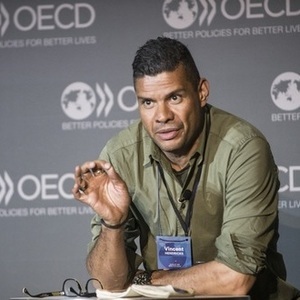 Read Vincent F. Hendricks' OECD Yearbook article "How to stop the slide from info-storms to post-factual democracy"